There’s an episode of the original Star Trek series in which Captain Kirk resolves a dispute between two warring factions, the Yangs and the Congs, thinly veiled stand-ins for Americans (or Yanks) and Communists, ending with a stirring speech about truth, justice, and freedom. I have heard a (probably apocryphal) tale that when Gene Roddenberry saw it, he is reported to have been displeased by the heavy-handed Moral that overwhelmed the actual story and said that the writers “sold their soul for a pot of message.” That pretty much sums up how I feel about Remake. In the future, in Freedom Province - what we know as Australia - children are born in batches of ten boys and ten girls. As they grow, these twenty individuals do everything together, eat together, exercise together, learn together, watched over by an ever-changing staff of caregivers with no biological or emotional ties to them. They also are given frequent buzzcuts and hormone suppressants to make them as androgynous as possible. At the age of 17, each person finalizes their choice of name, gender, profession, hair and eye color, everything about who and what they want to be. While many in the group have already made their decisions, Nine is torn. Her Remake Day looms closer and closer, but she doesn't have any idea what she will choose. Even though she is biologically female, she has somehow internalized a belief that women are weak, pathetic creatures (despite the fact that the Prime Maker, the supreme leader of the colony, is female and approximately half of the people in Freedom Province in all areas of trades and abilities are female) and is deeply insecure. Theron, who has been her best friend as long as she can remember, supports her, protects her from others in the group, and encourages her to make whatever choices will make her happy. Without her regular hormone suppression injections, Nine begins to change. Kai, the oldest son of the family that has taken her in, is initially dismissive, angry, and aggressive towards her, but starts to soften as she develops a more womanly figure. Eventually, they fall in love or something like it. They return to Freedom Province when her tracker malfunctions for fear it will lead the bad guys to their peaceful village to destroy their idyllic life. But I just couldn't care for the main characters. Nine is insecure and wishy-washy, easily swayed by whichever boy she happens to be standing next to. Kai is an absolute jerk to her until - hey! She looks like a girl now! So obviously I must fall in love with her! Theron is a really good guy that Nine leaves without a thought or any explanation when she realizes that he's been sterilized (forcibly and without his knowledge as part of the Remake process) so he can't participate in her new-found dream of having children. Cuz that's good payback for his lifelong friendship. Mahawai is the embodiment of all that is good and right (though the portrayal of the islanders also felt like an offensive "happy savage" stereotype on several levels). Freedom Province is an extreme version of common mischaracterizations of those who don't buy in to gender essentialism; it's not only the epitome, but also the source of everything evil and wrong, and is trying to impose its approach on the entire world. The author ties every bad thing together in an unbreakable, reductive causal link: everyone's gender is up in the air, so of course families don't raise and care for children, of course everyone is promiscuous and without any long-term connections, of course they devalue human life so much that they enslave others to use as breeding stock, of course no one actually loves each other, of course society is an oppressive dictatorship that keeps people in the dark, and of course no one is truly happy. I mean, obviously. Basically, everything in this story serves to emphasize that boys are boys (and must therefore be and act this way) and girls are girls (and must therefore be and act that way) and “equality” ("You keep using that word. I do not think it means what you think it means." ~ Inigo) and “choice” (the author hit every code word, didn't she?) are bad. To serve this end, the book is chock full of false dichotomies, black-and-white thinking, blanket assumptions, and transphobic ignorance. There are no shades of grey, no middle ground, no nuance, no recognition that there might be people who don't fit neatly into the boxes provided and, in fact, very forcible rejection of that concept. Now, perhaps my reading was colored by the fact that I recently read a horrific transphobic and ignorant blog post about gender on an extremely conservative, black-and-white, LDS blog, but I saw too many parallels between the pieces to ignore. I found it ironic that Mahawai is described as a place where people are “loved unconditionally” when it was very apparent to me that Nine was only deemed worthy of love by Kai once she conformed to his expectations of what a female is and does (learn to cook! take care of and love little children! cover up your tempting body! ), whereas Theron extended truly unconditional love, respect, and acceptance to her, whatever her choices were. 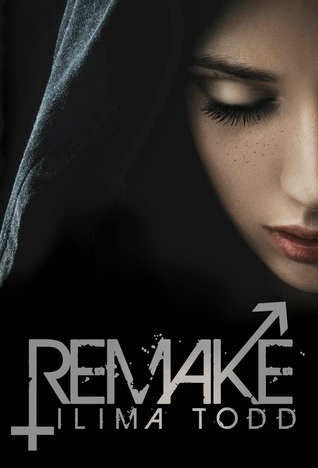 While the message that accepting yourself for who you are and not trying to be someone else is important, the potentially interesting story in Remake crumbles under the weight of its primary message that boys and girls are Different in Certain Specific Ways and any other perspective is Wrong and will lead to Great Evil. It felt like a novelization of the paranoia and fear, arrogance and condescension I sometimes hear in rants about how the “world” devalues families and gender roles and how other people “aren't truly happy” because they don’t fit the mold some believe God requires of us.